Even as the Texas Rangers were in the midst of their worst start since before Washington – that is Ron Washington, not George – they were showing signs of being a good team. Good teams become family. This one already is that. In fact, the family gathered on April 11th and delivered a message to their brother. 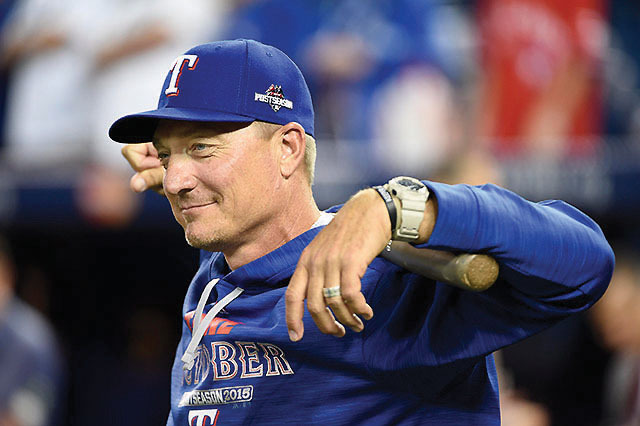 On April 12th, Jake Diekman was at the Mayo Clinic to endure the second of three major surgeries to correct a condition known as ulcerative colitis. On the 11th Jake’s best friend, Sam Dyson, grabbed the Fox Sports microphone and gathered the entire team around him to send a message to Jake. Sam and Adrian Beltre spoke messages of encouragement, and the entire team cheered wildly for their brave friend. He said it: This team is a family, and that will carry them through the tough times like a start to the season that included so much wailing and gnashing of teeth. It is tough to take when you blow five-run leads in back-to-back games like the Rangers did in week two of the season. Or when you have three blown saves in the first two weeks like the Rangers did. However, the most important thing to remember is that this is a long season. As recently as two years ago things started even worse. With new manager Jeff Banister, the team got off to a disastrous 8-16 start. They did not get over .500 until the middle of August that year, and, despite all of that, they won the American League West Division title, clinching it on the last day of the season. That first year under Banny was when “never ever quit” became more than a hashtag. It became a reality on the field. The team refused to quit, and their efforts were rewarded. In my experience, when a team becomes a family it is an organic thing. The first ingredient is to have good people on the team. Under General Manager Jon Daniels, the Rangers have always stressed character. Still, sometimes the lure of talent is so strong that they acquire players with dark pasts. Josh Hamilton and Matt Bush come to mind. 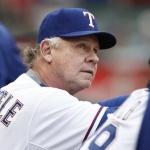 In each of those cases, the Rangers have taken the brilliant step of hiring a “life coach” for the player in question. Josh had a few of them over the years, and all became a part of the Rangers family. When he signed with the Angels, it was determined that he no longer needed his “life coach.” That is about the same time his career spiraled down. Coincidence? I think not. Matt is accompanied by a man named Roy Silver on road trips. Roy, too, is part of the family and helps to ensure that Matt stays on the right path. Perhaps the greatest aspect of this family is that discipline is not just from the “parental units.” In spring training, several players were upset with the way that Keone Kela was conducting himself. Their concerns were brought to the attention of the powers that be, and a stern reminder was delivered. After spending the first two weeks in the minors Keone was welcomed back by his family/team. One of the reasons he is back is because of what happened later on April 11th. Sam Dyson faced the cameras twice that day. Once to wish his best bud well in surgery and later to try to explain what happened on the mound as he blew a save. There are no excuses in baseball, but I think the two may be related. Sam’s teammate Jake was hurting, so Sam was hurting. The good news is that both are recovering. Soon April 11th and 12th will be a distant memory. Jake will be back, Sam will pitch better, and the team will live up to preseason expectations. I really believe these things will happen because I believe in families. Sports columnist John Rhadigan is an anchor for the Fox Sports Southwest television network.